This boy's drawstring bag is perfect for storing toys, blocks, cars or books. 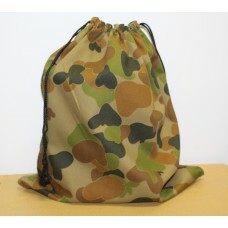 Featuring an army camo print on this bag which is fully lined. Double drawstring closing for easy use. 75% Polyester 25% cotton. Every little boy needs a drawstring bag to keep his loot in. Ideal for tiny books, cars or mar.. Balls, Balls Balls is the perfect drawstring bag for that sporty child who loves soccer, football an..